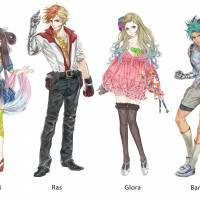 The first group of official characters to represent this year’s World Cosplay Summit was recently revealed. Every year, people from all over the world don costumes worn by their favorite “anime” or TV game characters while attending the event in Nagoya. Last year, the summit attracted 18,000 visitors. 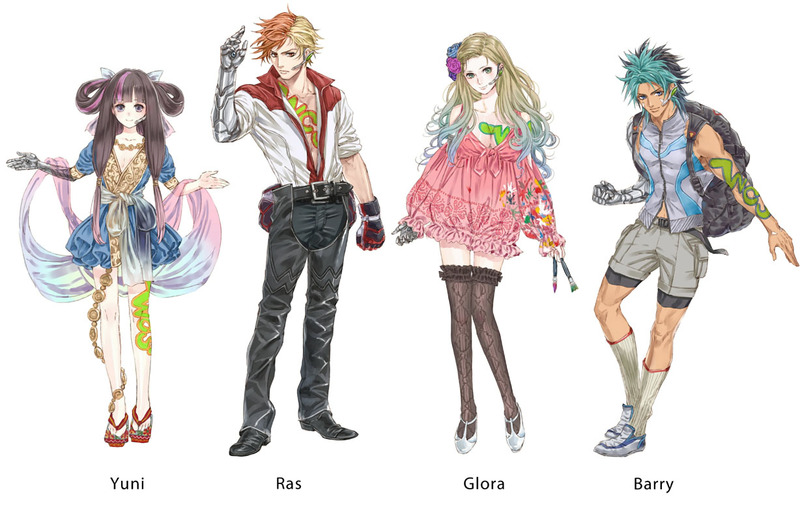 Yuni, Ras, Glora and Barry, the faces of this year’s summit, were designed by local illustrator Meru Kishida. 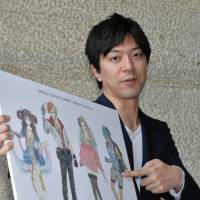 “I want people to do the ‘cosplay’ (costume play) of the characters I designed,” said the 29-year-old illustrator as he unveiled the four unique characters during his recent visit to the Chunichi Shimbun. Now in its 11th year, the annual summer event will be held between July 27 and Aug. 4 in Nagoya’s Osu district. Participants from over 20 countries who have made it through the preliminary rounds will come to Japan and transform themselves into various characters from Japanese anime, comics and games as they vie for the title of world champion. Kishida was born and raised in Nagoya. He gained success as an illustrator, designing and developing characters for game software and TV animation. Despite his successes, he continues to live in Nagoya because he loves the city. Kishida attended cosplay events and listened to the participants’ opinions before coming up with his characters. 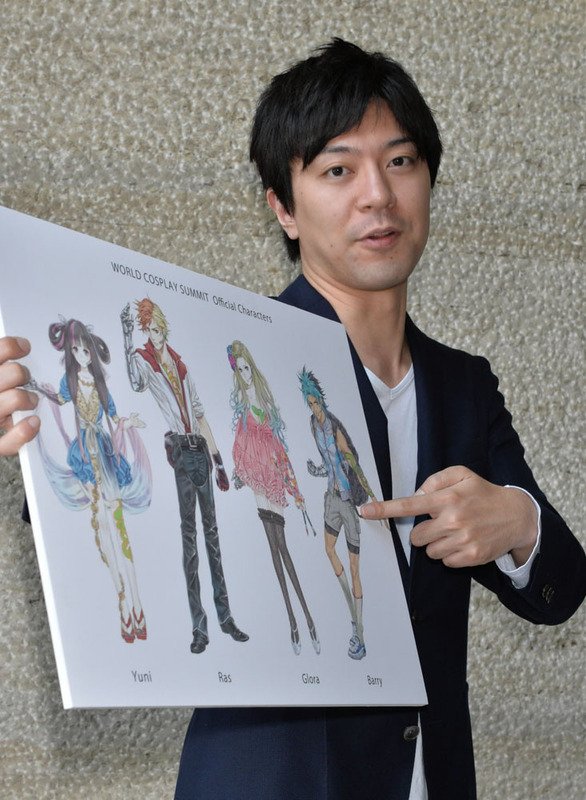 “The event will be held during the hot weather, so I have designed costumes that are cool enough but at the same time satisfy people’s desires to transform,” explained Kishida. Kishida is looking forward to attending the event himself. “I think people will enjoy cosplaying the official characters,” he said. The organizer said the details of the official characters can be viewed via the World Cosplay Summit’s Facebook page. This section, appearing Saturdays, features topics and issues from the Chubu region covered by the Chunichi Shimbun. The original article was published May 23.